Police are searching for an ATV driver who was caught on video dragging a Nashville officer down a busy road last week. Metro Nashville Police Department officer John Bourque was injured during an illegal bikers' demonstration on Saturday when an ATV driver ran him over and kept driving as the officer held on to the vehicle, officials said. A Metro Nashville Police Department officer was injured during an illegal bikers' demonstration on Friday, March 15, 2019. Bourque was treated for minor injuries at a local hospital and was home recovering as of Sunday evening, according to the police department. A second officer was also treated for minor injuries on the scene, ABC affiliate WKRN reported. 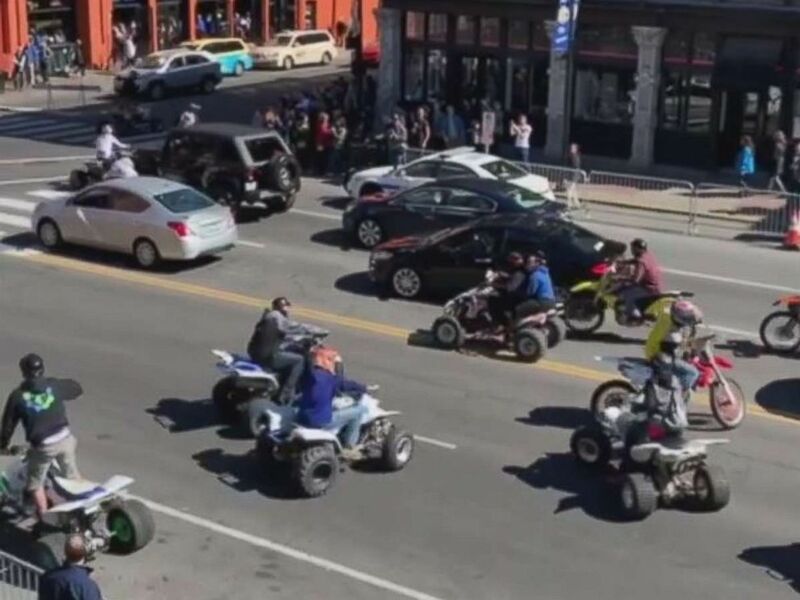 Tennessee authorities are looking for the driver of a four-wheeler who dragged a police sergeant down the street as dozens of riders took over downtown Nashville on Saturday. The suspect was one of an estimated 100 bikers who "illegally took over" the road on Saturday, according to the police department. 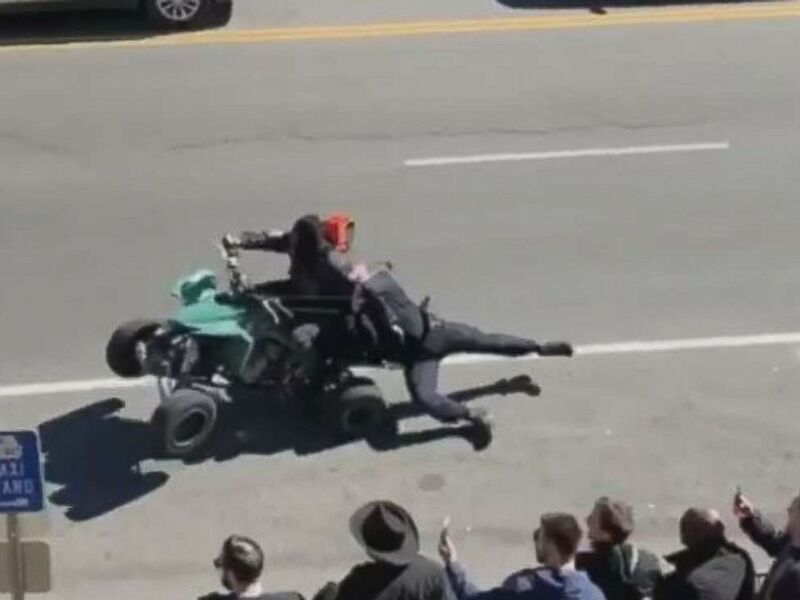 Police are searching for an ATV driver who was caught on video dragging a Nashville officer on Friday, March 15, 2019. Cellphone video showed the bikers speeding, blocking the roads, weaving in and out of traffic during the apparent protest. The driver fled the scene after striking another unrelated vehicle.